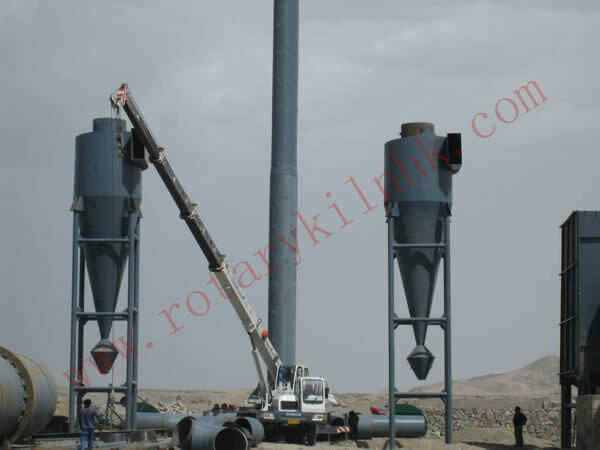 As a kind of rotary kiln, cement kiln is mainly used for calcining cement clinker and is the main equipment of the new dry type cement production line. 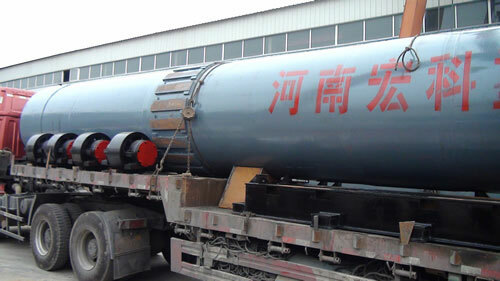 This equipment is mainly composed of cylinder, supporting device with catch wheel, transmission device, lubrication device, mobile kiln head and sealing device at the end of the kiln and it has the advantages of simple structure, reliable operation and easy control of the production process. 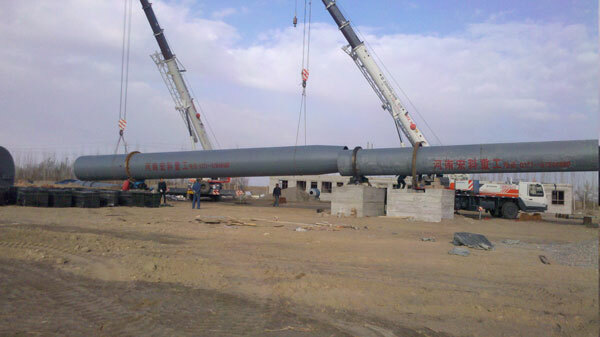 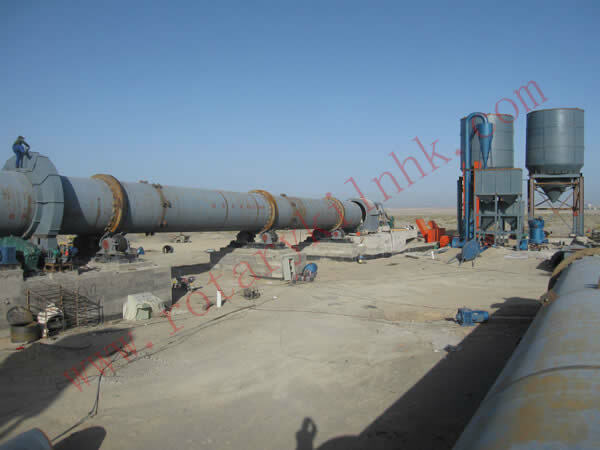 This type of rotary kiln has advanced pre-heating system which can accelerate the speed of the kiln and improve the output of unit volume. 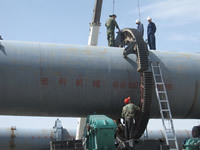 The sealing effect of this system is perfect and may realize the full utilization of the waste heat. 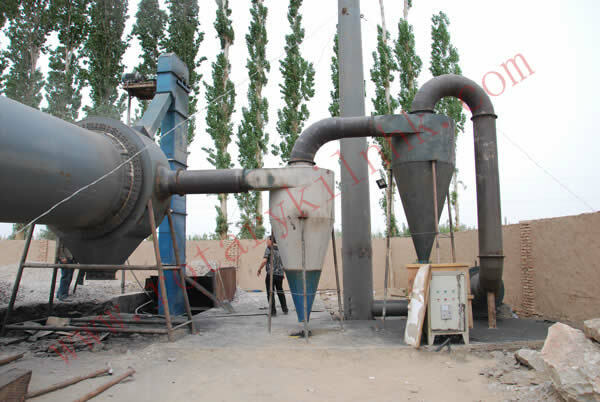 The dust elimination is simple, convenient and effective with high quality of the clinker and low consumption of heat. 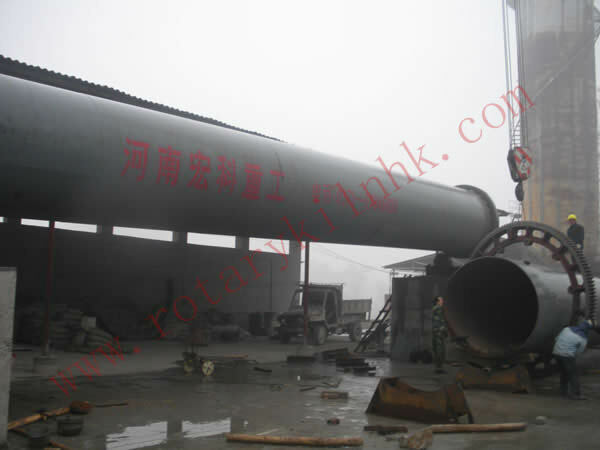 Pulverized coal (natural gas) used for internal combustion in rotary kiln can heat the materials by using gaseous conductance or radiation during the heating process. 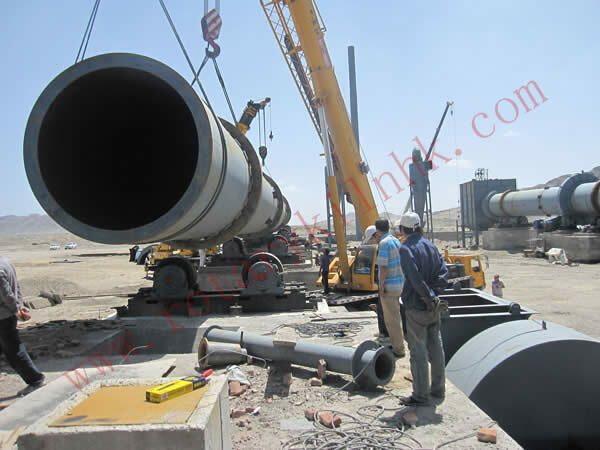 With the constant rotation of the cylinder at the same time according to the designed inclination and rotational speed, the raw materials also can be periodically rolled and moved forward inside the kilns so as to be sent from the feeding end to the discharging end and calcine it to be qualified for clinker in the time period when they go through rotary kiln, thus achieving the aims of high yield, top quality and low energy consumption.